Currently, there are so many new streaming music platforms offering quite the same but yet differentiated services, but which ones are in the top 10? Before we begin with ranking them let’s see how the total number of music streaming subscribers worldwide for 10 years has/will increase. According to Statista, the music streaming era began rapidly to increase in 2016 and it is predicted to increase twice as much in 2020. That’s good news for the music industry. To finally begin with our list, we decided to make a comparison between the best platforms to publish music vs listen to music. The top 10 music platforms to publish your songs on are ranked by the amount they payout. The table below represents the amount of money streaming music services payout if you have 1 million streams. After many challenges and problems for Napster in the past years, Napster has grown to become one of the best payout music streaming platforms with on average pay rate of $0.019 per stream. What is Napster? - it is an audio streaming service that focuses on sharing digital audio songs encoded in MP3 format. Tidal is our second favorite platform based on payout rate with an average of $0.0125 per stream play. What is Tidal? – it operates as subscription-based music, included are podcasts and video streaming services that combine lossless audio and high-definition music videos with exclusive content and special features. The infamous Apple Music is on number 3 with a payout average of $0.00735 per stream. What is Apple Music? – it is a video, music and radio (Beats 1) streaming service, where users can choose to play music on-demand or listen to already existing playlists. The artists who upload their music on GPM (Google Play Music) earn on average per stream $0.00676. What is GPM? – it is a free music and podcast streaming service with an online music locker that allows you to upload your music. Deezer’s payout average is $0.0064 per stream click, ranking it on fifth place. What is Deezer? – it is an Internet-based music streaming service. Where you can listen to music from famous record labels such as Sony Music, Universal, and Warner both online or offline. The most music streaming subscriber’s magnate falls on sixth place with just $0.00473 payout rate per stream. What is Spotify? – it is an audio streaming platform for music and podcasts. Its’ DRM-protected music and podcasts from record labels and media companies rank it high on safety measures. Amazon’s payout rate has dropped recently and now is just below Spotify’s with $0.00402 per stream on play. What is Amazon Music? – it became the first online music store to sell music without digital rights management from the big 4 (Universal, Sony, Warner, EMI). On the platform, Prime users can enjoy unlimited ad-free music streaming. 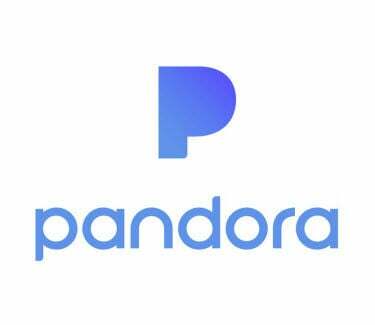 The U.S streaming service Pandora has a lot of financial difficulties, thus ranking it on number 8 with an average payout rate of $0.00133 per stream. What is Pandora? – it is a music streaming and automated music recommendation internet radio service, where it plays songs with comparable musical characteristics. The biggest music video platform is known for its low payout rates and non-artist-friendly monetization. Thus, paying only $0.00069 per stream. What is YouTube? – it is the biggest video-sharing service that allows free upload. Moreover, YouTube offers its’ premium service – YouTube Premium, allowing users to have an all-access service - ad-free streaming, exclusive content, background and offline video playback on mobile devices, and access to the Google Play Music. You are probably thinking that this should not in the ranking but a personal website that displays latest and best tracks, contact information is very important for established artists. Think of it as your personal portfolio, where your fans will visit and learn news about your upcoming tours, merchandise and, upcoming music. It is a portal that leads them to your social media accounts and links to your streaming platforms. So better make your website up-to-date and professional.